One of Canadian Art Junkie’s all-time reader favourites, from the archives. 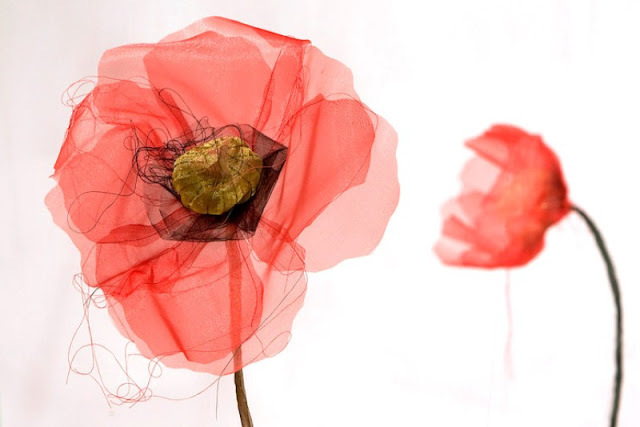 From the Battlefield series: Poppies. 2008- 2009. textile installation. 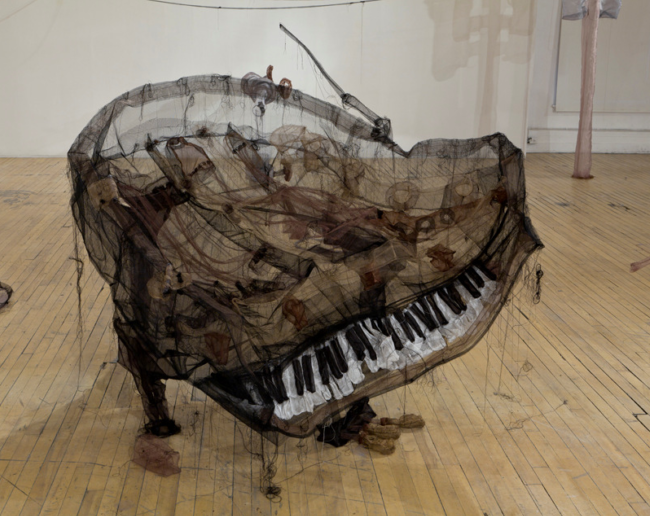 various dimensions (h: 10 feet) Ghosts of artifacts — tanks, pianos, fields of poppies — half-float in her sculptural installations, hollow and wavering. These two are from the series Ghosts of Montreal. She has also created an extraordinary fabric tank for an exhibition. Jannick Deslauriers was born in 1983 in Joliette, Québec. She lives and works in Montreal and teaches visual arts at Marie-Victorin College. Amazing sculptures! How exactly does she make them? Diaphanous comes to mind, especially with the flowers. That’s such a great word for it. thank you. I so agree. The fragility combined with the power of her work is exquisite.